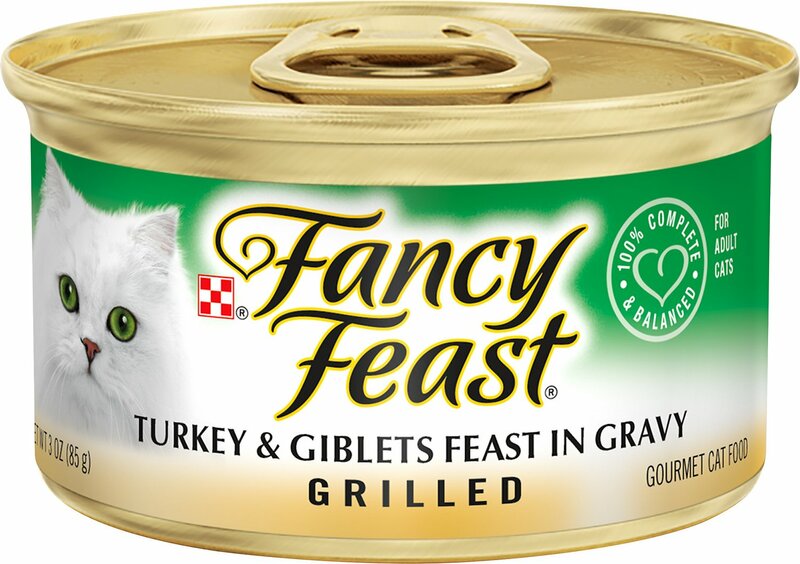 Turn mealtime into a feast with the Fancy Feast Grilled Turkey & Giblets Feast in Gravy Canned Cat Food. “Give me meow yummy,” your kitty says. 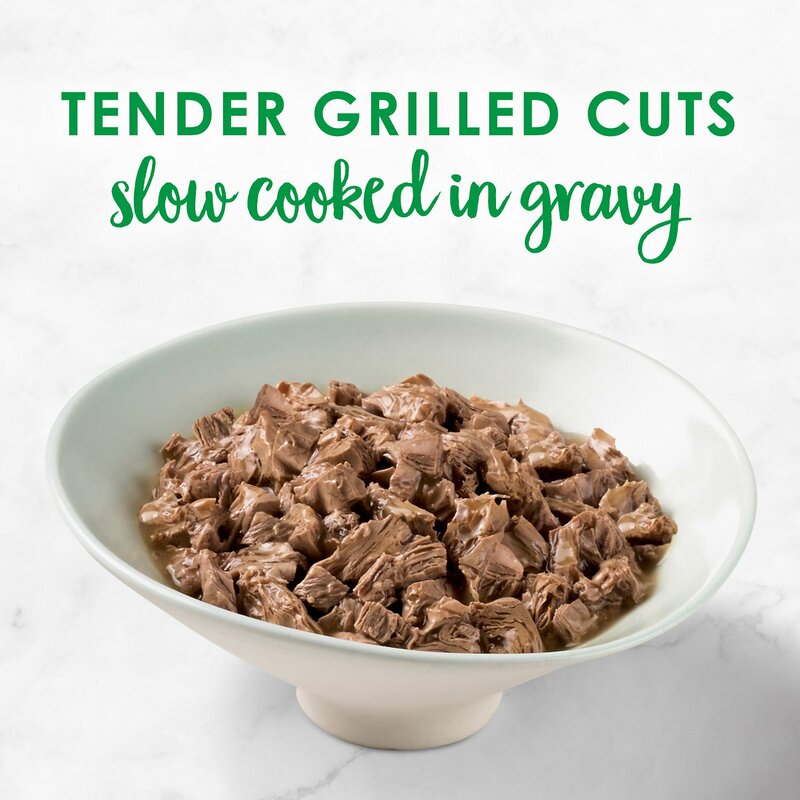 So fill his bowl with whisker-licking turkey, and pretty much everything he needs to stay looking and feeling his best, like protein, antioxidants and healthy omegas. Plus, the formula is enhanced with vitamins, minerals and essential taurine for nose-to-tail well-being in every bite. Since it’s made with real broth, it also provides moisture to keep your pal hydrated and support urinary health. So open up the easy pull tab and get ready for all those satisfied kitty smooches. 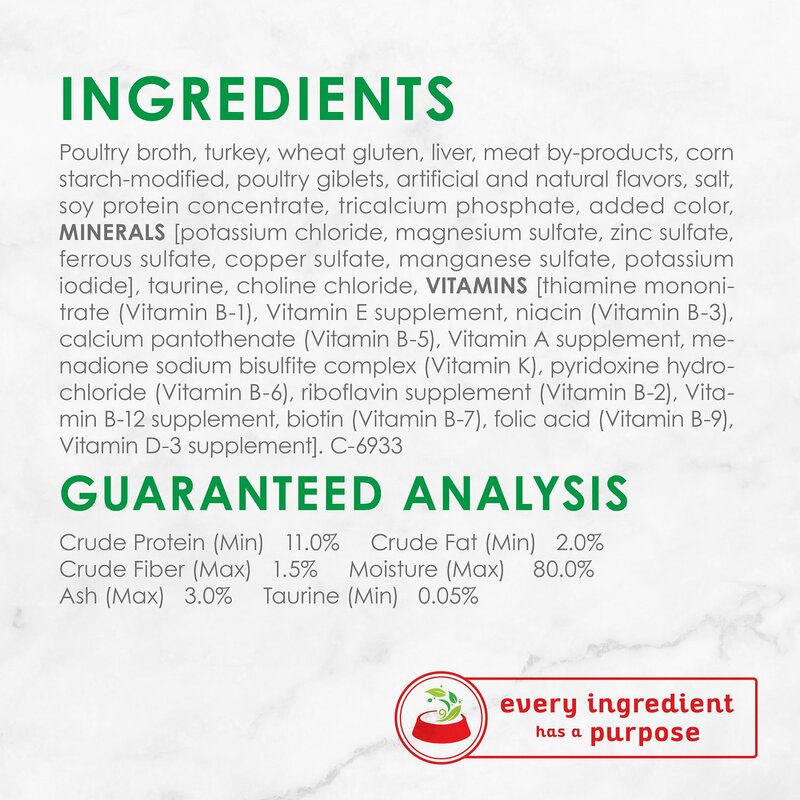 Poultry Broth, Turkey, Wheat Gluten, Liver, Meat By-Products, Corn Starch-Modified, Poultry Giblets, Artificial and Natural Flavors, Salt, Soy Protein Concentrate, Tricalcium Phosphate, Added Color, Minerals [Potassium Chloride, Magnesium Sulfate, Zinc Sulfate, Ferrous Sulfate, Copper Sulfate, Manganese Sulfate, Potassium Iodide], Taurine, Choline Chloride, Vitamins [Thiamine Mononitrate (Vitamin B-1), Vitamin E Supplement, Niacin (Vitamin B-3), Calcium Pantothenate (Vitamin B-5), Vitamin A Supplement, Menadione Sodium Bisulfite Complex (Vitamin K), Pyridoxine Hydrochloride (Vitamin B-6), Riboflavin Supplement (Vitamin B-2), Vitamin B-12 Supplement, Biotin (Vitamin B-7), Folic Acid (Vitamin B-9), Vitamin D-3 Supplement]. C-6933. Feed an average size Adult cat 1 can per 2 1/2 lbs of body weight daily. Feed up to twice this amount to kittens. Pregnant or nursing cats may require 2 - 4 times their normal feeding. Adjust feeding as appropriate to keep a healthy body condition. 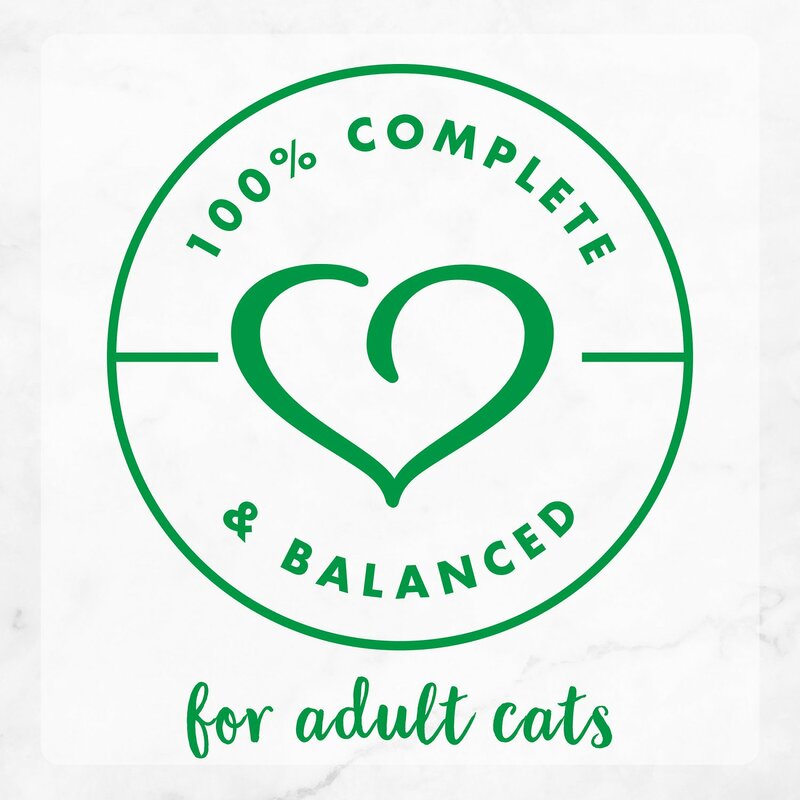 For cats who are fed both wet and dry food, adjust your feeding routine to maintain a healthy body condition as instructed by your veterinarian. Refrigerate Unused Portion. 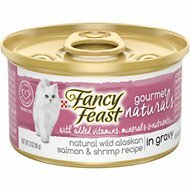 I have a 15 year old cat that I tend to cater to but this food is loved by all 3 of my cats. My 15 year old is so happy with it that she will go scampering around the house now - this did not happen before. I also purchased the gravy lovers cans and they all love them. This has been a favorite for quite a few years with my feral cat, and she cleans the dish right up. My other indoor cats aren't that fond of it, but they love the other foods I order from you. Sometimes he eats it...most gets thrown away. I will not order The turkey & giblets anymore. Waste of money. I thought he was getting tired of the chicken primavera. F.F. 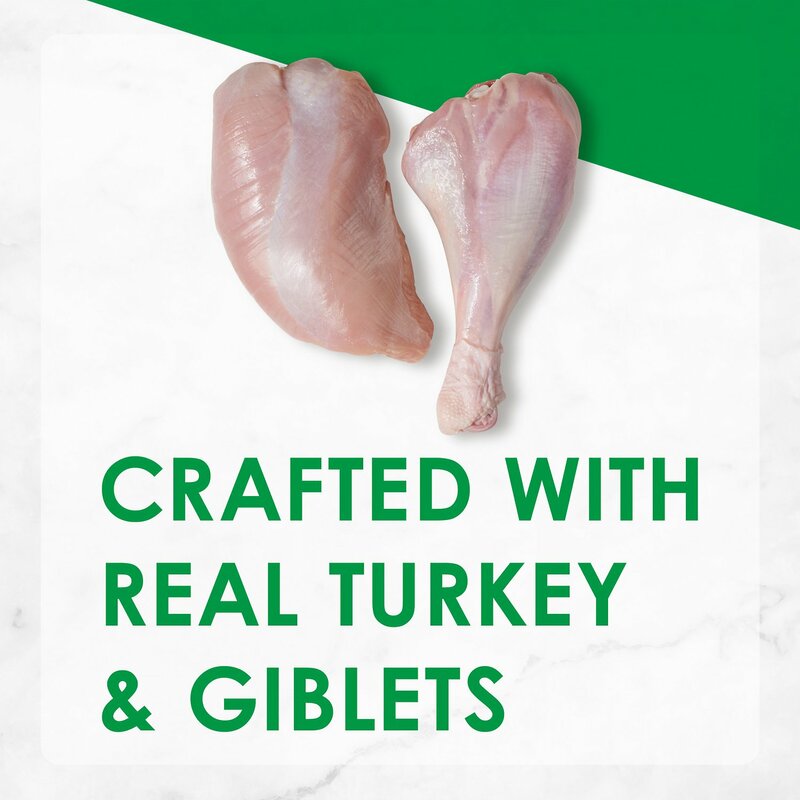 Grilled Turkey and Giblets in gravy. My kitties are picky eaters. I try a few cans whenever I introduce a new food. If they go for it I order by the case. They seem to like this flavor. My little girl who will only eat "grilled" has been getting bored with the usual selections. She has been licking the bowl clean with the turkey and giblets. My cat loves this flavor. A can opening brings her running. She digs-in for at least 30 seconds... not bad! That does not mean she eats leftovers from the refrigerator. Only freshly-opened cans meet her scrutiny! There is a wild oppossum who also loves leftovers of this meal! My two indoor cats really liked it. They "gobbled" it down and cleaned the dish. 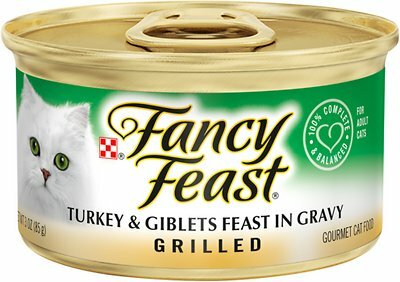 My cats, 5 outdoor rescues and 2 indoor cats love the variety of Fancy Feast in gravy. Love seeing them enjoy it. Love us some Fancy Feast! My cats love anything from Fancy Feast! It sounds like a mini kitty choir at feeding time!